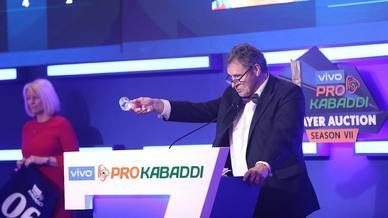 Following the conclusion of the Inter-Zone Challenge week, zonal action resumes in VIVO Pro Kabaddi as Puneri Paltan take on an in-form Gujarat Fortunegiants for the second time this campaign at the Patliputra Indoor Stadium in Patna on Tuesday. Zone A toppers Puneri Paltan are back in action post a six-day break after a scurry of games in their home leg. 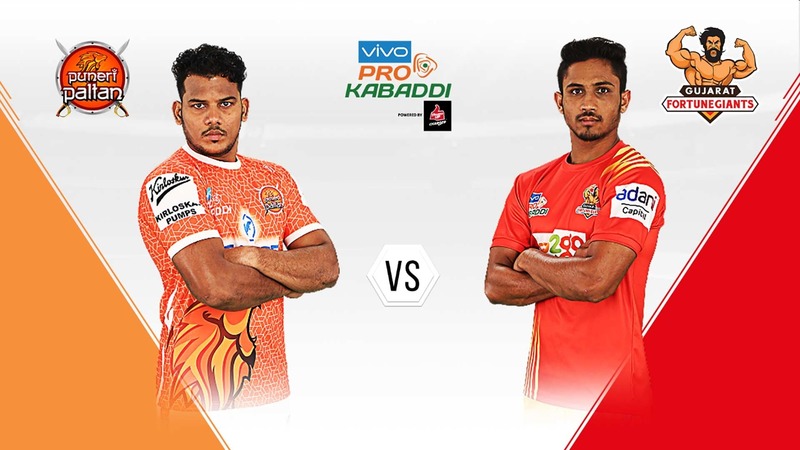 This match comes on the back of two straight defeats for Puneri Paltan and the team will aim to break that streak when they on Gujarat Fortunegiants. Gujarat Fortunegiants have been terrific in their last two games and can make it a hat-trick of wins when they take on Puneri Paltan on Tuesday. They will be confident going into this game having already earned a win over Puneri Paltan earlier in the campaign. After three successive wins at home, Puneri Paltan succumbed to back-to-back defeats. But after a six-day break, Puneri Paltan will be refreshed and ready for their match against Gujarat Fortunegiants. They will look to score a win to continue their stay at the top of Zone A. Nitin Tomar and captain Girish Maruti Ernak have been outstanding for the team so far and the team will look towards their stalwarts to lead them in offence and defence respectively. Following a tie and a loss to start their campaign, Gujarat Fortunegiants burst into life and won back-to-back games. In both their wins, they managed to restrict their opponents to under 30 points while averaging 35 points themselves, indicating that both the offensive and defensive units are clicking on the mat. With the team in form, Gujarat Fortunegiants will aim to complete a hat-trick of wins in VIVO Pro Kabaddi Season 6 when they battle the Zone A leaders Puneri Paltan. With 94 raid points in 10 games, Nitin Tomar has been an offensive juggernaut for his side. In their previous meeting this campaign, Tomar managed 13 points against Gujarat Fortunegiants. Puneri Paltan will be hopeful that Tomar delivers a similar performance and adds to his four Super 10s this campaign when they face Gujarat Fortunegiants. Gujarat Fortunegiants’ Left Cover Parvesh Bhainswal has been in top form, leading his side with 12 tackle points in four games. The team will hope that Bhainswal can continue his good start to the season. 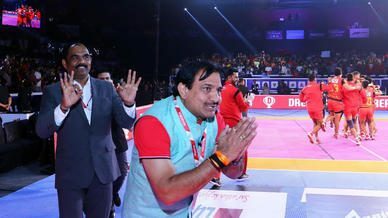 Considering that Puneri Paltan have two right raiders in Nitin Tomar and Monu, the defenders on the left side of the mat will need to remain extra cautious and decisive on the mat. 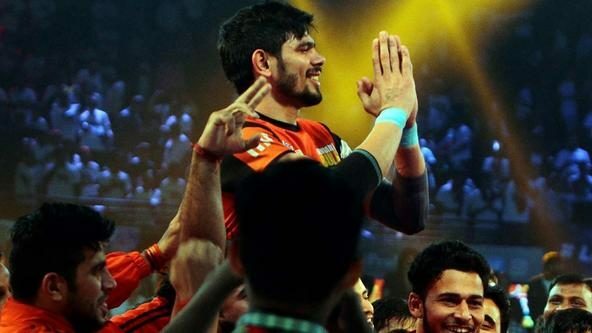 Puneri Paltan’s captain and joint-leader for most tackle points in VIVO Pro Kabaddi Season 6, Girish Maruti Ernak will have to lead his team in defence when they battle Gujarat Fortunegiants. Ernak will be tasked with limiting the impact of raiders Sachin and Ajay Kumar. His performance will be crucial in determining the outcome of the game. 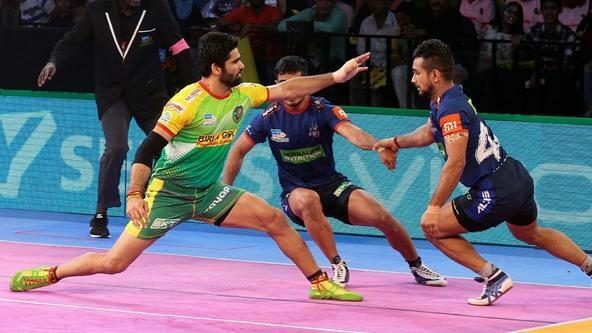 Hailed as a ‘complete package’ by his coach Manpreet Singh following his performance against Tamil Thalaivas, Sachin will be expected to shoulder the responsibility of leading Gujarat Fortunegiants’ offence against Puneri Paltan. The raider has scored 33 raid points in four games for his side and the team will hope that he can deliver another strong performance against a quality Puneri Paltan defence.